Four new tracks to mark Independence Day. 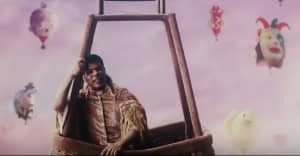 Makonnen has been a little quiet since he dropped "Love" alongside Rae Sremmurd in September last year. However, he returned to action on July 4 with an EP appropriately titled iLOVEAMERICA. The short project includes a collaboration with Key! plus "HaHa," a song about laughing your way to the bank. Check the whole thing out below and revisit a FADER interview with Makonnen here.